Have you heard of Universal Design for Learning (UDL)? In this post, I’ll start with a quick definition, then describe why we need UDL for improving learning outcomes in 21st century classrooms. 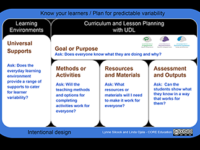 I’ll outline where LEARNZ is on its UDL journey. Then I’ll suggest teachers do three things; firstly, adopt a more inclusiveness UDL mindset, secondly, train their students to help themselves, and thirdly, use e-learning sites like LEARNZ to save time and improve learning outcomes. Lastly, I’m going to give my opinion on why teachers have never been more important. 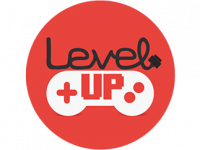 provides options for students to demonstrate their learning. I can still remember classroom lessons from the 20th century, some where I was a student and some where I was the teacher! A few went like this: everybody copy the written notes, then turn to page 66 and do exercises 1 to a million, then swot it all up and do the written test – no pictures allowed! All the same, despite parts of our education system being world class and our high fliers experiencing international success, we still have a persistently “long tail” with too many New Zealand kids not engaged and “left behind”. 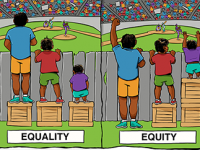 Message 2: Inclusive learning is a valid goal – UDL is a valid framework for achieving it. If learners are excluded from learning because of language or cultural differences, because they are vision or hearing impaired, because they have limited reading or writing or numeracy skills, or because of dyslexia or dyspraxia issues, then learning outcomes are not going to be good for them. Inclusiveness has to lead to better engagement and better learning outcomes. There is a wealth of research evidence to support UDL as an inclusiveness framework. The 3 Principles and 9 Guidelines and 31 Checkpoints of UDL have come from world-wide reviews of 10 years of research and over 1,000 articles. This evidence has driven a huge number of articles about how to implement UDL, numerous learning tools for UDL, and repositories like a British Columbia website for schools, dedicated to UDL that New Zealand schools may find useful. Some may say that the effectiveness of UDL is self-evident and, indeed, that UDL is something best-practice teachers have always inherently followed, albeit under less wide-ranging frameworks, under other names, or in a more fragmented way. Although it would be ideal if everyone in the state or private system had one-to-one tutoring from a trained teacher, it just isn’t practical. However, a one-size-fits-all, teach-to-the-middle, factory-like system doesn’t cut it either. Is there some sort of middle ground where teachers don’t have to do all the heavy lifting? 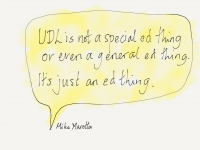 Message 3: LEARNZ uses UDL to help learners and save teachers’ time. Tapping into students’ interests to challenge and motivate them. Children are naturally curious about the world around them. LEARNZ uses the online medium to provide an experience that is real, that frames and contextualises global and local issues. The LEARNZ teachers and the field trip experts regularly challenge students to question their thinking; whether it’s in an audioconference or on our Ask an Expert web board, or when they “look students in the eye” down the lens in a video clip. Providing various ways for students to learn. One new initiative for all our virtual field trips, is that all the background pages have a headphones icon at the top so that students can click on it to have the page read to them by the LEARNZ teacher, not by some robot voice. Teachers and students love having this option! 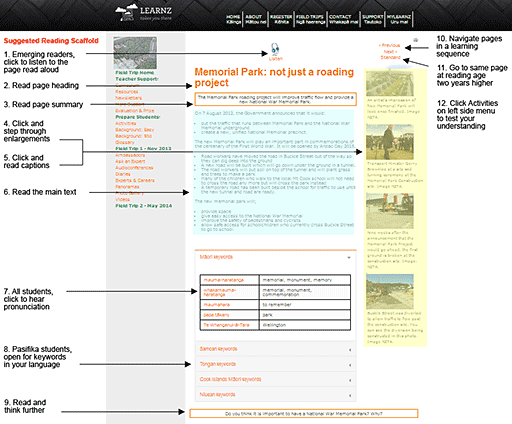 See page reading in action for Memorial Park. Providing options for students to demonstrate their learning. Throughout each field trip, in context, are different suggestions for students to build on their learning, or reconstitute it. Indeed, the Creative Commons Share licence on LEARNZ encourages students and teachers to repurpose our content with their own. Think like a learner. Whenever you are planning for your class, through your new UDL lens, think what it might be like for students with hearing or vision limitations, or students who read or write poorly. How about you ask them for suggestions? For example, many students struggle to present live to an audience. You may suggest they make a video, which enables multiple takes and reviews, and the facility to replay and re-publish. Train your learners. Learners can help themselves. Students with smartphones can use free apps to help with reading and writing, or consult an online dictionary or thesaurus. It’s not tricky or difficult. Your Internet Use Policy should provide some certainty that students stay on task and use such devices appropriately. Use an e-learning site like LEARNZ. Try one of our field virtual trips to see how much heavy lifting you can save yourself, and how well you can help students to engage. This is another story, but for now, all I’m going to say is that we live in an increasingly complex world with increasingly complex jobs, using more and more specialised tools and language to solve increasingly complex problems. Teaching is no exception. I’ll expand on these ideas in my next post.